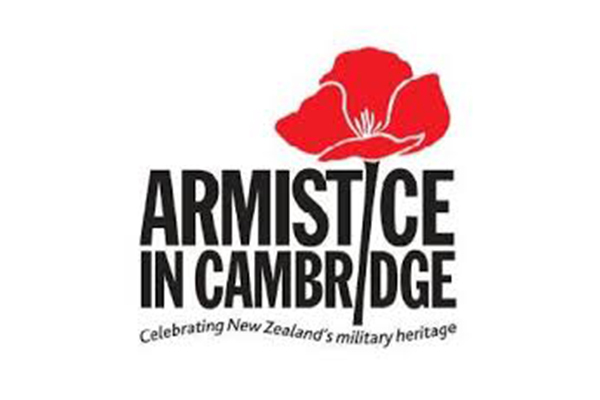 Armistice in Cambridge is the largest 2-day commemorative event in New Zealand, that marks the Anniversary of the signing of the Armistice between the Allied nations and the German Empire in 1918, ending the First World War. As well as the official memorial ceremony at the Cambridge Cenotaph on Remembrance Sunday – the closest Sunday to the 11th of November, the history and pageantry of New Zealand’s military past is also recognised, through the displaying of militaria, old and new – from tanks and trucks and weapons and uniforms, through to aircraft, helicopters, boats, models and all manner of other displays. 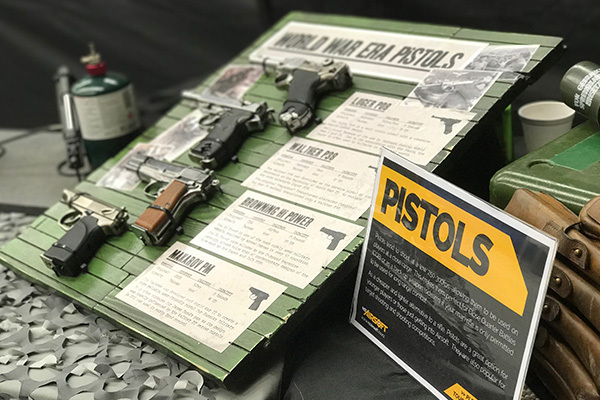 Popular features of the Armistice weekend include battle re-enactments designed to demonstrate various weapons and tactics of battles fought in the past. 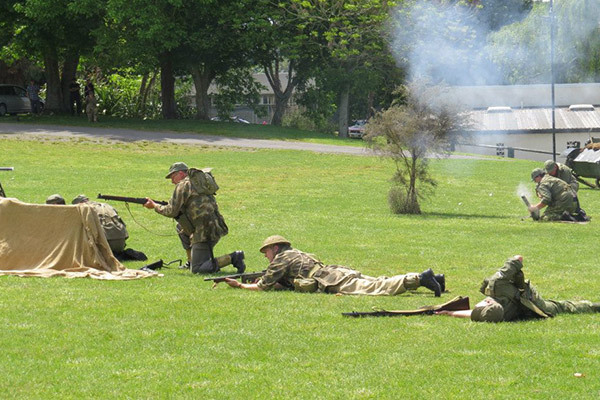 Re-enactments include Kiwi involvement in both World War One and Two scenarios, South African War, NZ Wars of the 1800’s, the Vietnam War and more. 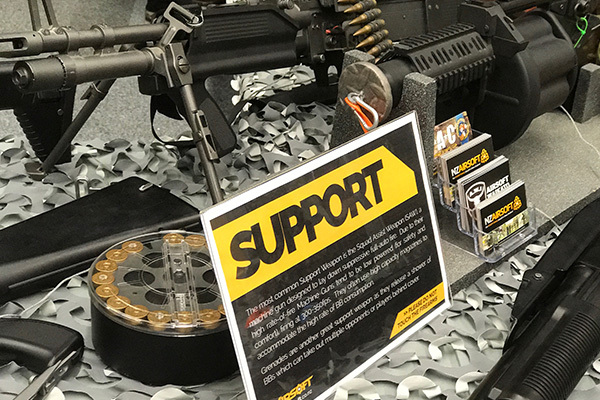 This event continues to grow in popularity every year with 2018 marking the 100 year anniversary of the signing of the Armistice agreement. 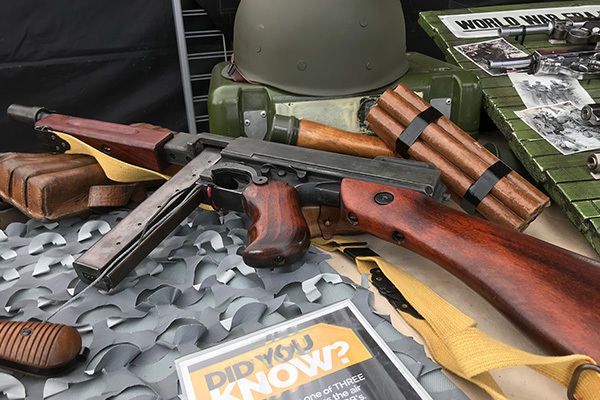 There are lots of kids activities available over the weekend including Trench Battles, Navy activities, Airsoft, Archery, Fire a Roman Catapult, Rides in Steam Pinnace and much more. 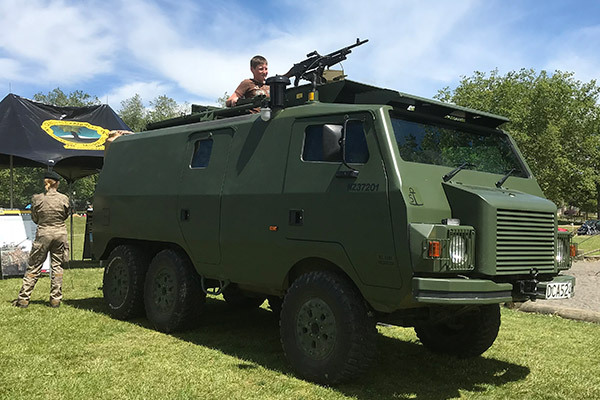 Groups from all across the country bring their collections of military vehicles, weaponry, aircraft, museum collections and uniforms to display to the public. 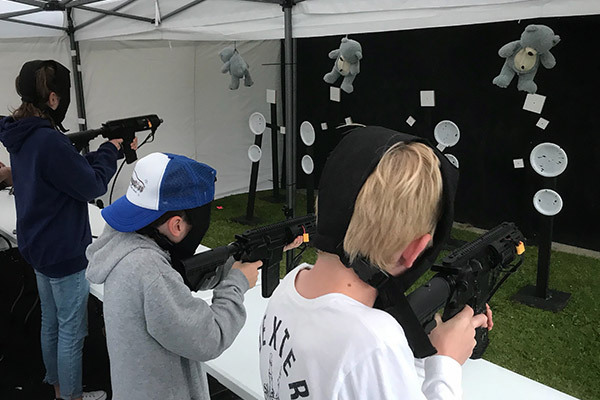 As well as the commemorative service to formally remember those who served in NZ’s Armed Forces, there is now a large scale educational aspect to the weekend. 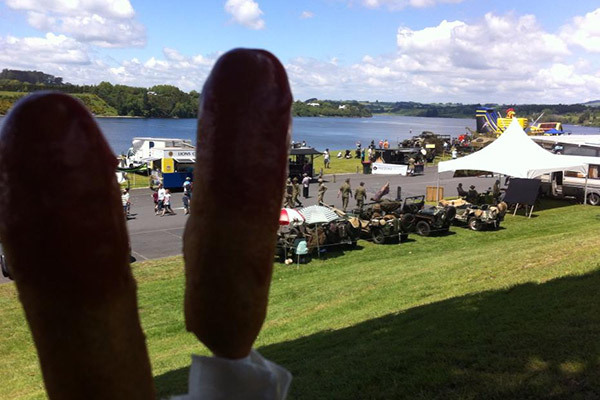 Each year, battles in which New Zealander’s fought are recreated by professional re-enactment organisations. This is done not to glorify war, but to bring to life this country’s war stories that we can usually only read about. 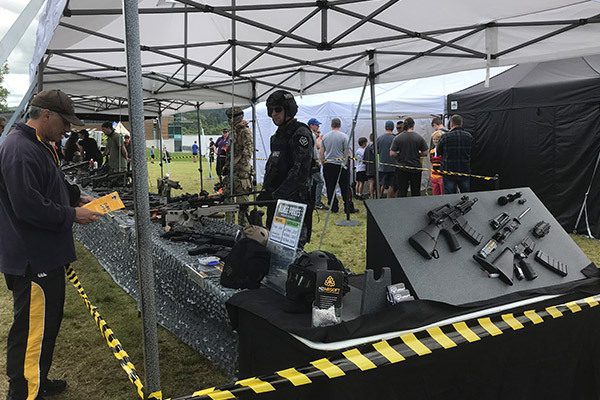 There are military vehicle parades, vehicle handling demonstrations, aerial displays by warbird aircraft, firing demonstrations of weapons as well as static displays, military model displays and much more. Keen to check out this amazing event? 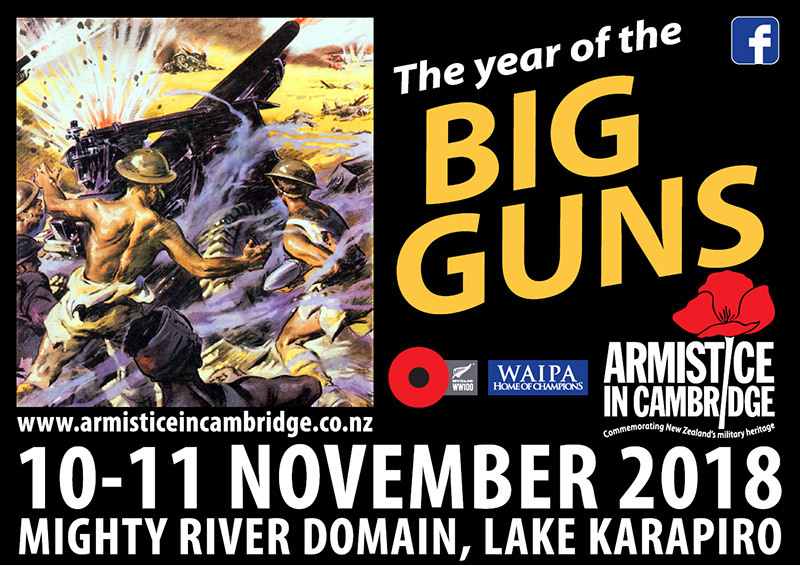 Visit the Armistice in Cambridge website for event details and to purchase tickets.